Ben Welden (a.k.a. Weldon, a.k.a. Weinblatt) was born June 12, 1901 in a small house on 14th Street in Toledo Ohio. One of five siblings, he was the brother of my father, Dr. Morris Weinblatt. And he was by far my most famous uncle. His inauspicious childhood foretold nothing of the fame he would earn from a long, successful career in Hollywood. As a child, Ben Weinblatt lived for two reasons  to fight with his sister and to play the violin. Many in the family pushed him to become a concert violinist. But, Ben foiled those plans by announcing that he would become an engineer. As the oldest child, Ben was allowed to go to college. He selected one of Americas finest engineering universities, Carnegie Technical College. During Bens first year in college, upon a whim, he took some acting classes. He immediately fell in love with the stage and it changed his life. As a drama major in an engineering school, one might speculate that he earned significant personal time with his professors. It must have worked. The career in engineering quickly vanished from Bens plans. During this time, Ben also played football for Carnegie Tech. On two occasions, his team played against my fathers team, The University of Toledo. During the second meeting, in 1923, Toledo earned its nickname Rockets. A member of the Carnegie press told a radio announcer that Bens team was beaten by a Toledo team that shot off like a skyrocket. Newspapers picked up the comment. From then on, Toledo was known as The Rockets. The good news is that the Weinblatt brothers didnt knock each other unconscious. His career in England exploded after the name change. Life was good for Ben, the young Jewish engineer-turned-actor. In fact, life was so good that Ben was introduced to a real duchess. Sparks flew and in no time they were married. Thats right, Ben Weinblatt, from 14th Street in Toledo Ohio married British royalty. This duchess must have greatly appreciated Ben for his acting fame and his personality, because she knew little else about him. Less than two years later, Ben returned to Toledo with his royal spouse. Upon discovering that her famous acting husband came from a poor Jewish family in a small Ohio city, the royal dame flew back to England in a rage. Needless to say, the marriage did not last much longer. Around 1930, Ben was introduced to a variety of producers and offered some small parts in the nascent moving picture business. One such film was the 1932 United Artists musical comedy His Lordship, directed by Michael Powell. At the same time, he saw that the future home of the movie industry would be in an American desert community called Los Angeles. He was enticed to move to Hollywood by some of the industrys pioneers, including producer and director Daryl F. Zanuck. Almost immediately, Ben was typecast as a gangster. 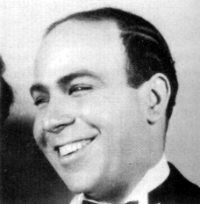 1937 was a breakout year for Ben, with Kid Galahad, Marked Woman; Love is on the Air and Variety Show. He quickly became a gangster that everyone loved to hate. When Marked Woman appeared in Toledo, to a packed audience, Ben was already on Hollywoods radar screen as a natural gangster. He had regular work at Warner and MGM. But not every part of his acting career was well received by Bens mother (my grandmother). During a particularly lurid scene, Ben pushed Bette Davis down a flight of stairs, at Humphrey Bogarts insistence. Suddenly, my grandmother stood up in the crowded theatre and screamed, That not my son! My Benny wouldnt do a thing like that! At least people in Toledo understood that Ben was really a very nice person. Ben was sinister on screen; but in real life he was a very gentle person. He had a sweet nature, charming smile and, although he had no children, he loved them all. His personal magnetism was powerful and genuine. 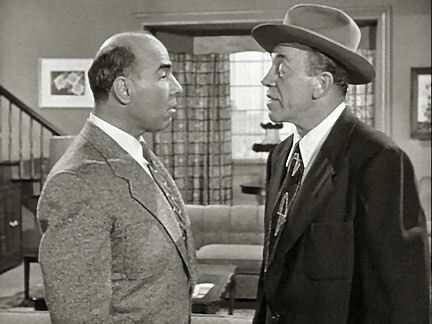 By the time I arrived (1952), Ben had made well over one hundred movies and dozens of television episodes. He also used his charisma to win over his second wife, Amy. She was secretary to the vice president of Universal Studios, which probably didnt hurt his career. Our family loved Amy, although Ben took a lot of grief from my grandmother for getting married in Las Vegas on Yom Kippur (both horrifying thoughts to a Jewish mother). Knowing Bens attitude towards religion, I expect he had no idea when Yom Kippur was that year. They were as happily married as two people can be until their deaths in the 1990s. They traveled extensively to Hawaii, making many lifelong friendships there. If acting is most difficult when the part is far outside of the actors own character, then Ben Welden must have been a tremendous actor. A gruff, mean, antagonistic thug on screen, Ben was loquacious and appealing in real life. His charming personality and engaging smile immediately converted strangers into friends. Unlike his gangster persona, Ben was gregarious and charismatic in real life. After his career as a Hollywood gangster ended, he co-owned Nutcorn, a Los Angeles-based candy business. In addition to his storefront operation in Beverly Hills, Ben and his partner shipped their scrumptious product to actors, directors, producers and Hollywood moguls throughout the country and all over the world. By the time he retired from acting, Ben had appeared in 224 movies and dozens of television shows. 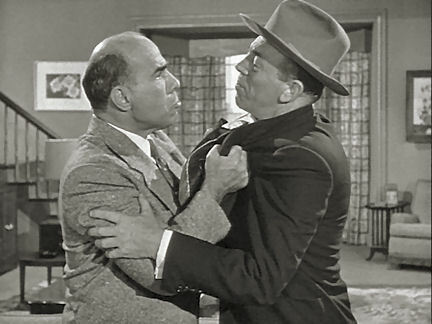 He was a regular on Superman and appeared in every Ma and Pa Kettle movie. 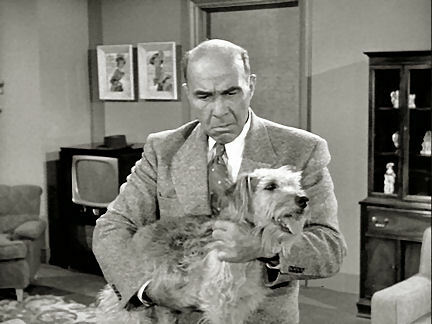 He appeared on I Love Lucy, Batman, Mr. Ed, The Three Stooges, the Rifleman, Lassie, Sky King, The Gene Autry Show, Abbott & Costello, 77 Sunset Strip, Dragnet, and The Lone Ranger. His movie credits include: The Triumph of Sherlock Holmes, Marked Woman, Kid Galahad, Alcatraz Island, The Last Gangster, Little Orphan Annie, Dangerously They Live, The Fighting Seabees, Anna and the King of Siam, Angel on My Shoulder, The Babe Ruth Story, Sorrowful Jones, The Jackie Robinson Story, The Big Sleep, Tales of Robin Hood, and The Benny Goodman Story. Ben played gangster with some of Hollywoods most notable actors, including Humphrey Bogart, Betty Davis, John Wayne, James Cagney, Buster Keaton, Don Ameche, John Garfield, Raymond Massey, Susan Hayward, Lauren Bacall, Dorothy Malone, William Bendix, Ruby Dee, Bob Hope, Lloyd, Nolan, Steve Allen, Donna Reed, Abbot & Costello, James Stewart and many more. It should be noted that Tales of Robin Hood was the only time that Ben played a character similar to his own personality. He was a charming and affable Friar Tuck. In virtually every other role, Uncle Ben played an antithesis to his on personality  an evil person. One of the best parts about having a movie actor for an uncle was visiting sound studios from 1957 through 1965. Ben was able to obtain entrance for my family into Warner Brothers, MGM and United Artists sound sets. Amy obtained passes for us into Universal Studios. I was thus able to meet and observe famous actors working inside Hollywood sets, including Ronald Reagan, Steve McQueen, Julie Andrews, Tony Curtis, Suzanne Pleshette, Jack Benny, Lee Marvin and Gregory Peck. Watching Gregory Peck film To Kill a Mockingbird was a particularly fortunate circumstance. I will always be proud of my uncle, Ben Welden. He overcame poverty, anti-Semitism and a host of career-blocking issues, to become one of Hollywoods best character actors. Ben would be proud today to know that there is a Wikipedia page dedicated to his life. Perhaps I am most proud of the way that Ben could bypass his own engaging personality and assume his winning Hollywood role of a grisly, fearsome gangster. The characters that he played so well could not have been more different from his indigenous charming personality. Current Exhibitions � Museum of Family History. All rights reserved.